Guide to Visiting Angkor Wat: travel video! 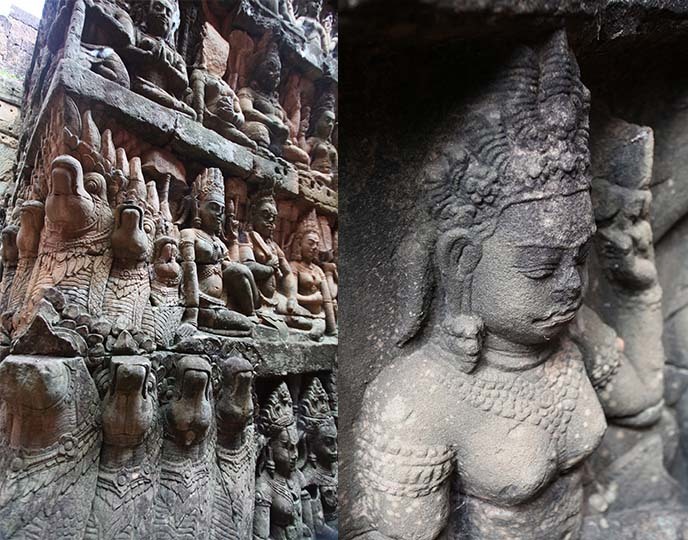 Siem Reap tour, Lara Croft temple & Buddha statues. 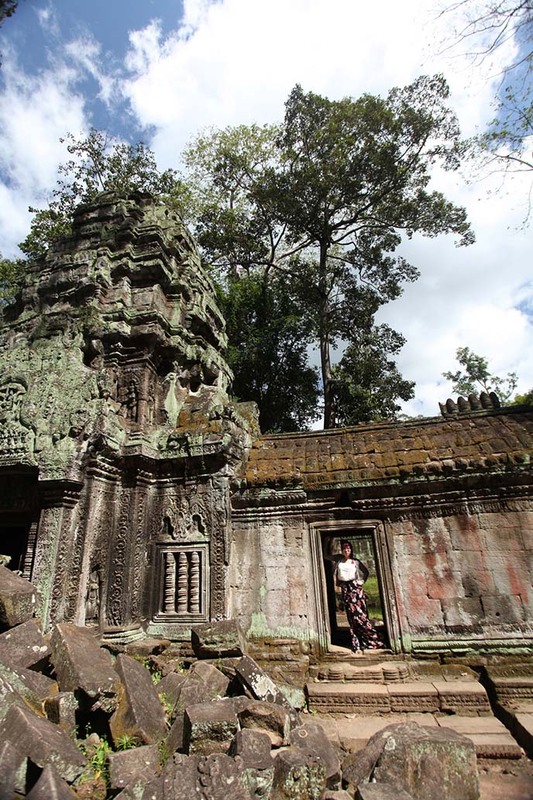 I’ve long been fascinated by the mysterious temples of Angkor Wat. 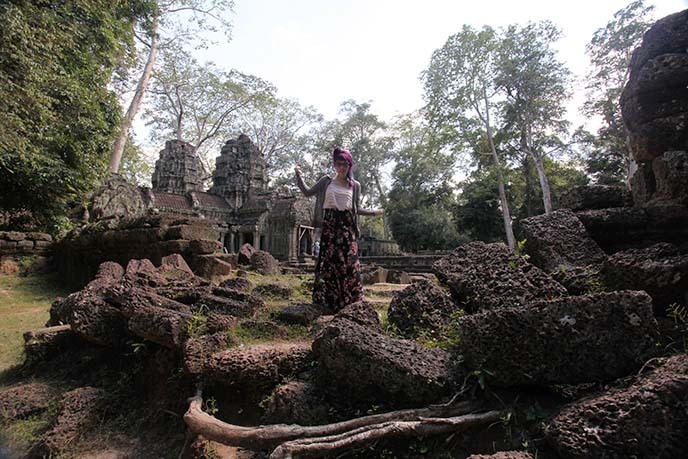 It was a dream come true to live out my “Tomb Raider” fantasies in Siem Reap. If this UNESCO site is on your bucket list, then I hope you’ll enjoy my latest Cambodia travel video (watch here), which includes tips on what to see and do. 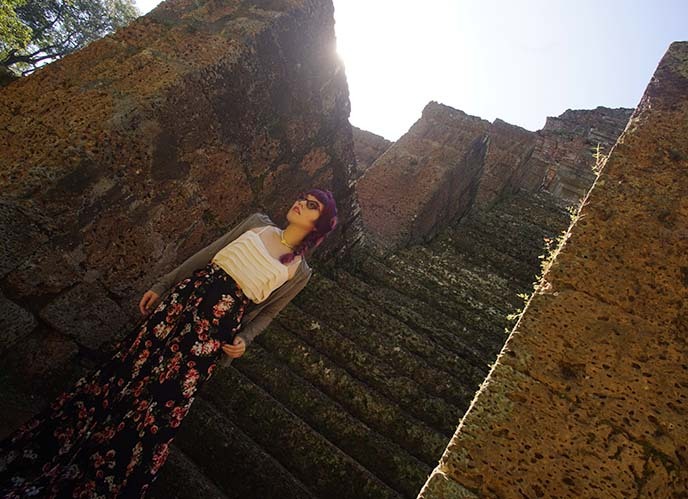 I’ll also share the dramatic photos we took amidst the ancient temple ruins — inspired by Lara Croft! But first, a special announcement. 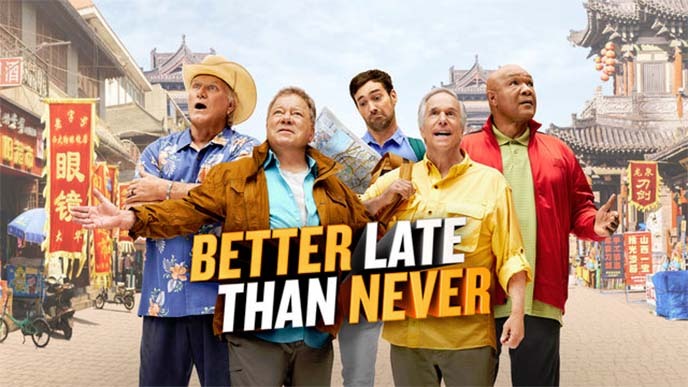 I’m excited to finally reveal that I’m in a new NBC travel TV show, “Better Late than Never” — starring William Shatner (Captain Kirk) and Henry Winkler (The Fonz!) I shot this series last year in Asia, and had to keep it secret until now. “Better Late than Never” is basically four elder celebrities on a bucket list adventure all throughout Asia. That’s correct: I got to be on-screen with William Shatner (Star Trek), Henry Winkler (Happy Days), boxer George Foreman, and football legend Terry Bradshaw! Can you imagine how much fun I had with these legends? There was dancing, singing and costumes involved… Be sure to tune in this Tues, Aug 30 for a good laugh at our Hong Kong shenanigans! 1990s dark floral skirt: from Pylo. Here is a similar shorter version of this skirt. My glasses are by Oliver Goldsmith, whose styles are inspired by Audrey Hepburn, Grace Kelly and other silver screen icons. 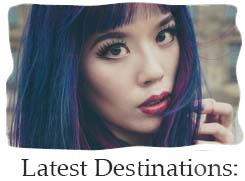 Please take a moment to watch our short Cambodia travel video (above and on @lacarmina YouTube). 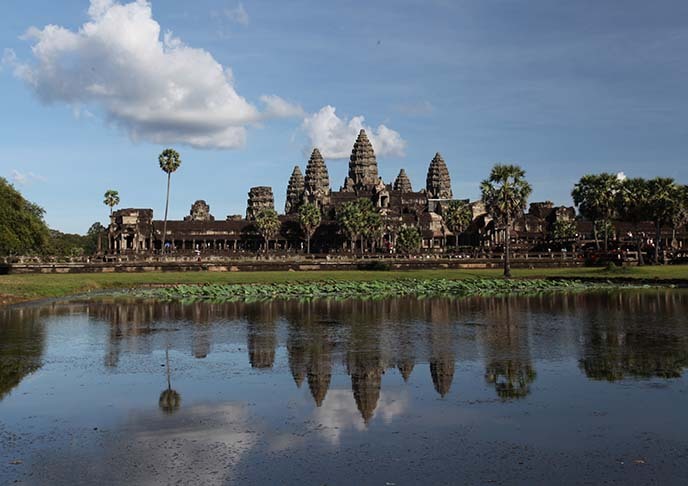 It highlights some of the best travel attractions in Siem Reap, from the circus to the temples. … and modern interiors, inspired by classic Khmer design. 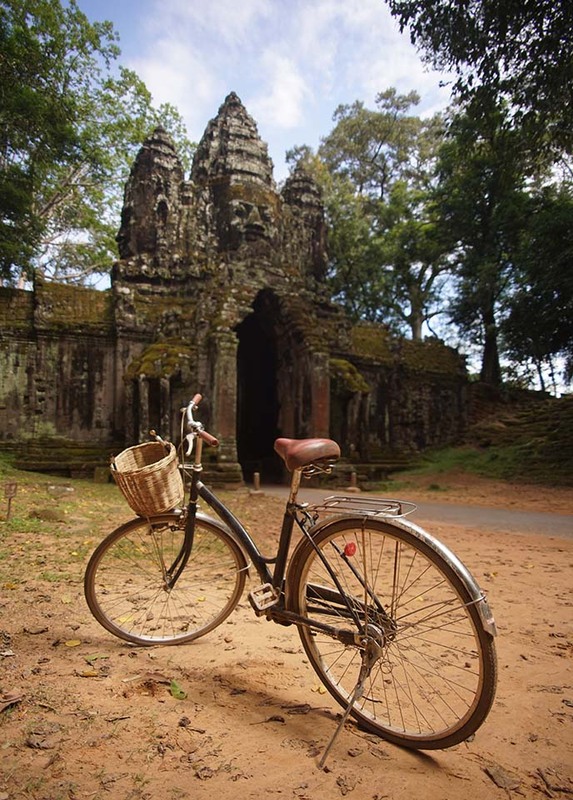 The location is also as good as it gets: Angkor Wat is less than a 10 minute drive away. Le Meridien has one of the coolest swimming pool designs I’ve seen. 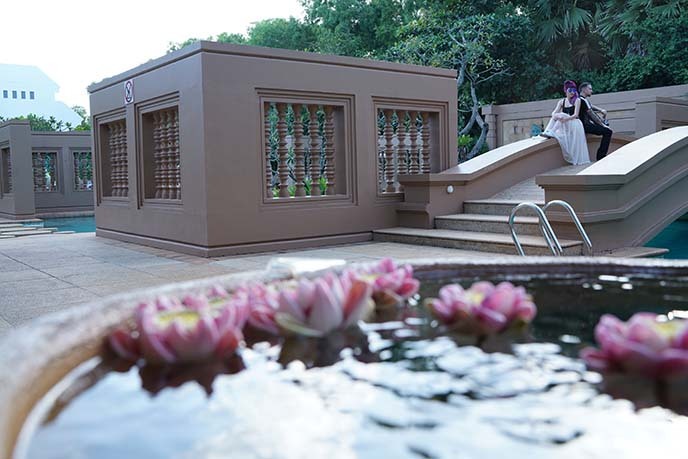 The waters are framed by gardens dotted with Hindu statues. In my happy place. Wearing a Michi cut out top, and blue Linda Farrow sunglasses. Lotus flowers add to the feeling of peace. Posing with my travel buddy John Skeleton. 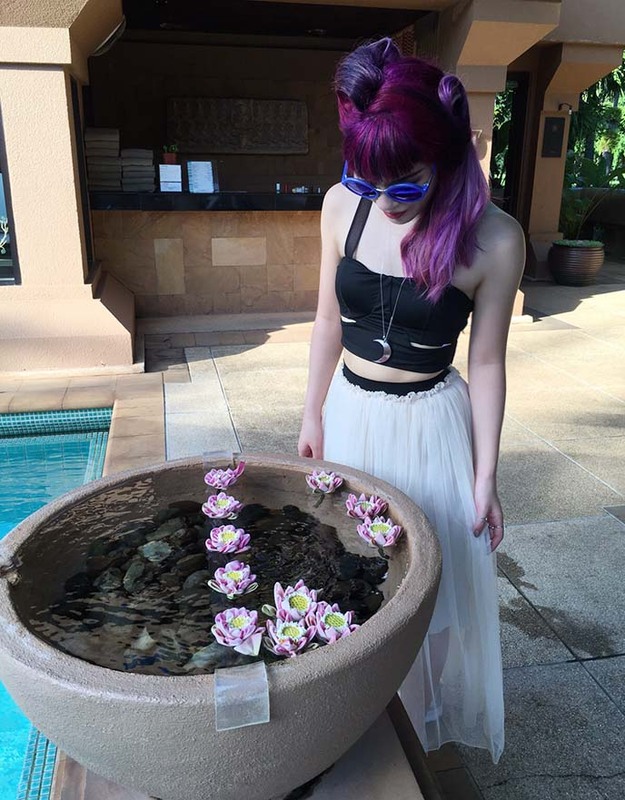 We also went to Vietnam together, one of my favorite trips. 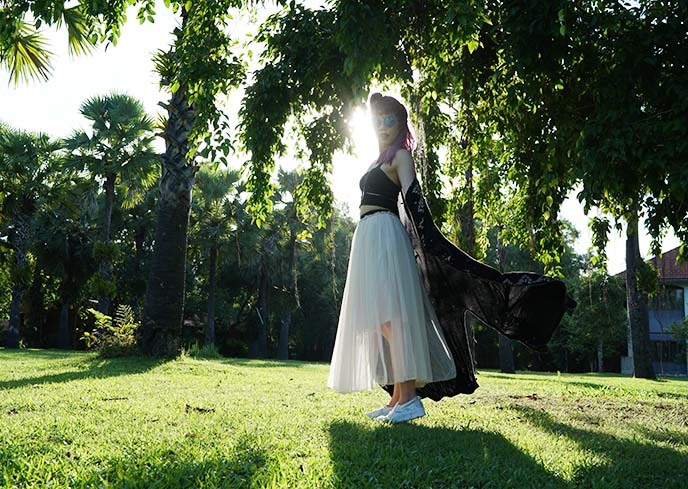 See many more photos of my outfit and Le Meridien Angkor, in this previous post. Thanks to Ken Yuen and Sniper Chau for the photography. Now, let’s tackle the temples! I recommend going to Angkor Wat at 5pm the day before your visit, to purchase your ticket (for one, three or seven days entry). This way, you can go inside to see the sunset and skip the line-up the next day. Our Le Meridien guide took us to a prime photo-taking position by the second reflective pool. 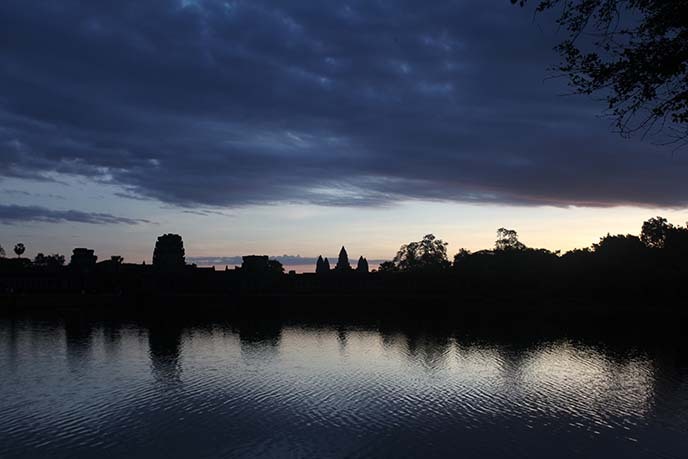 I am not a morning person, but it was worth waking up at 5am to see the sunrise over the towers of Angkor Wat. 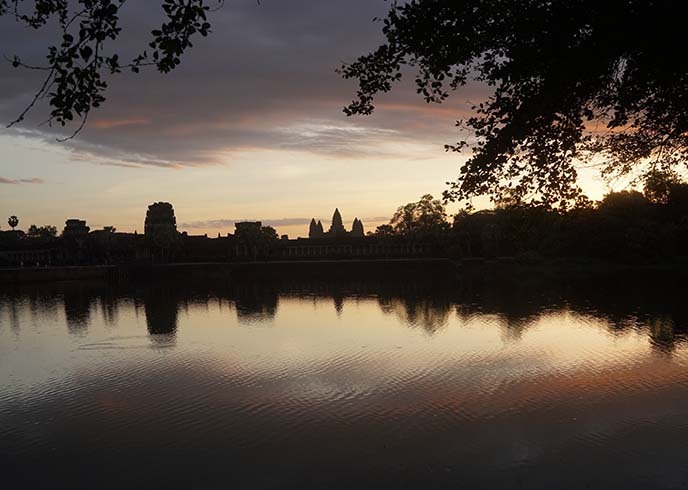 After dawn breaks, many tourists go on to explore the main buildings of Angkor Wat. However, to avoid the crowd, I suggest seeing other temples in the morning (there are over a thousand in this large complex). 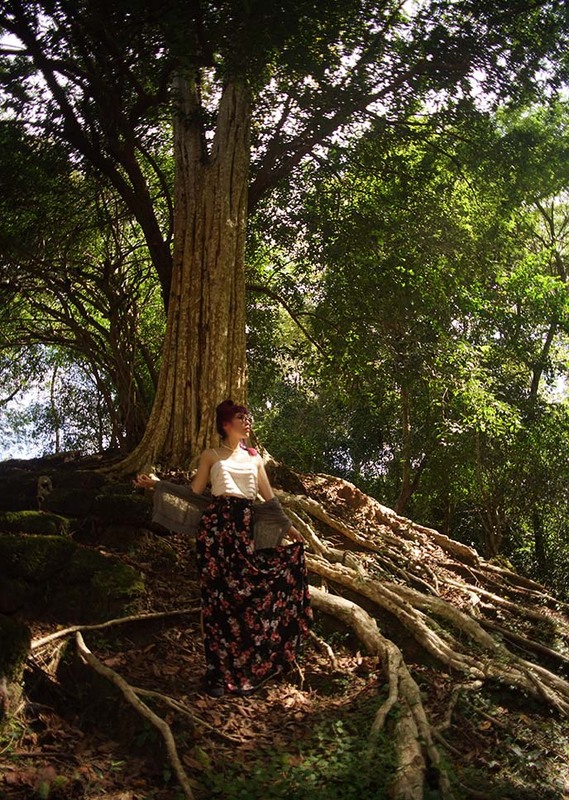 Walking through the humid jungle can be a challenge, but you’ll get to see powerful trees with roots like this. Some tourists ride tuk-tuks or bikes, but my team and I had a driver and guide, which made it easier to get around. The left side of this pathway over the water had Buddha statues. We preferred to take photos of the right side, which was lined with scowling demons. Our guide showed us the Terrace of the Elephants. 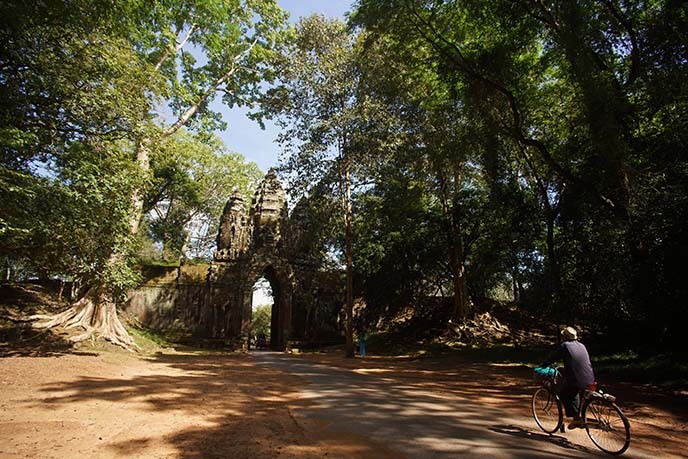 It was the site of public ceremonies for the Khmer king and his troops. One can’t help but smile when you come across these beaming Buddha faces, peeping out from the trees. 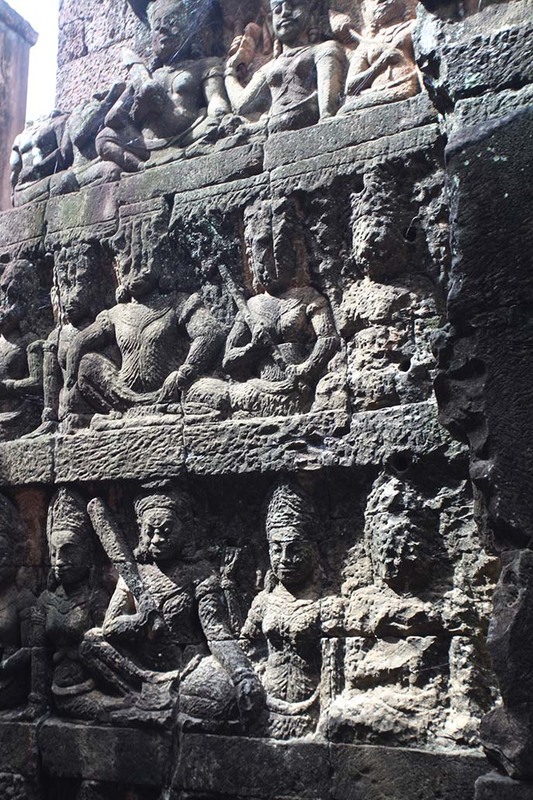 I was mesmerized by this long wall of carvings, which depict Hindu devas. Some of the faces have been worn down by the elements and time, adding to the feeling of mystery. Words can’t capture the feeling of standing right in the doorway of century-old ruins. 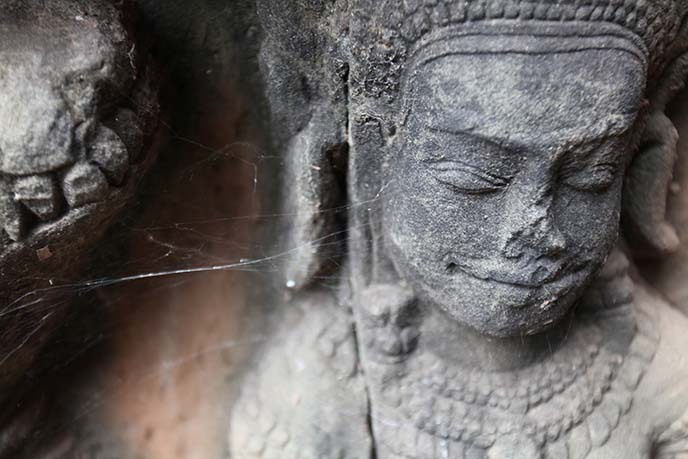 The Cambodian architecture stands the test of time. Anyone can get up close to the structures, and even climb them. Just watch out for the slippery moss. Feeling like I’ve entered a lost world. There were no other tourists around us, since our guide helped us avoid the crowds. Imagining that I am Lara Croft for a day. I even wore a braid in my hair. The fallen bricks are as beautiful as the standing structures, in their own way. 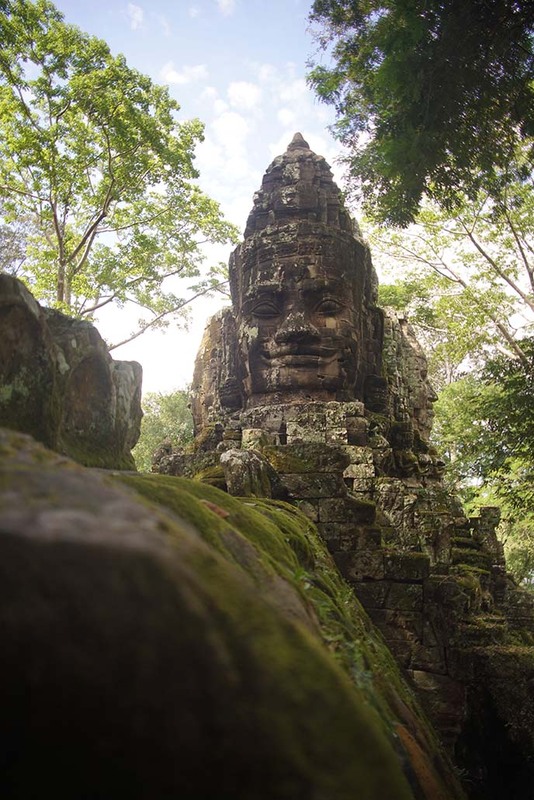 If you only have one day, be sure to visit Bayon with its smiling Buddha faces. 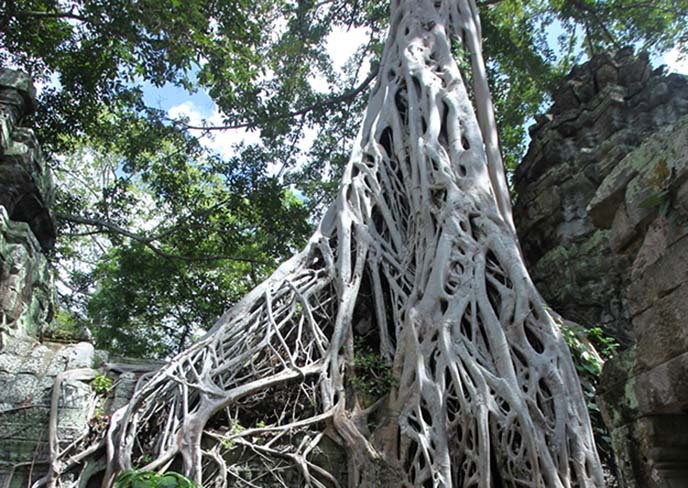 You also can’t miss Ta Prohm, the “Tomb Raider” temple with tree roots converging into the ancient architecture. 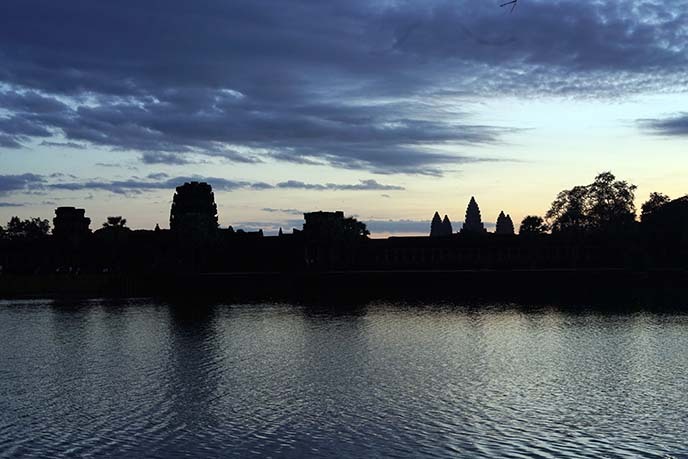 In the afternoon, I suggest returning to the main Angkor Wat temple. The lighting conditions are best at this time, letting you capture dramatic light and shadows. 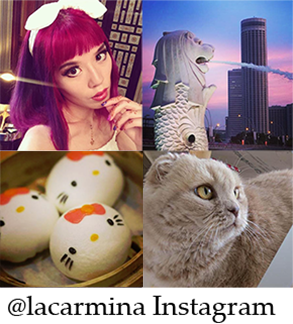 A big thank you to HK Express for making this epic journey possible. This short-haul airline goes directly from Hong Kong to Siem Reap, and the service is phenomenal. They fly to Tokyo, Osaka, Seoul and other destinations in Asia as well. In addition to the temples, you can experience a wide range of nightlife, restaurants and entertainment in the city center. 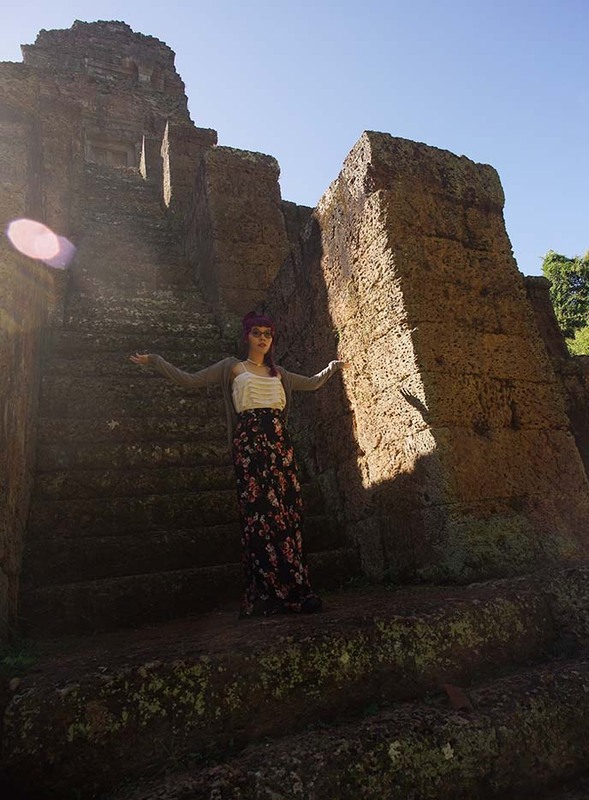 Be sure to check out my Siem Reap travel guide for food and bar tips. 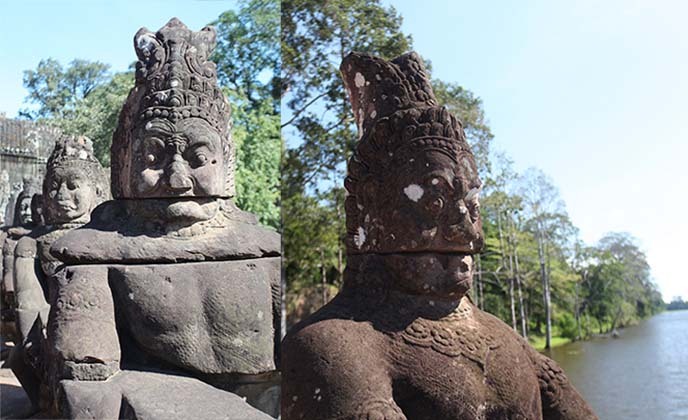 If these photos caught your attention, then come see my Angkor Wat Cambodia video (click to play). I hope you find my recommendations helpful. And don’t forget to tune in on Tuesday, August 30th — NBC channel — to watch me on “Better Late Than Never” with Henry Winkler, William Shatner, Henry Foreman and Terry Bradshaw! Life can be full of amazement, wouldn’t you agree? 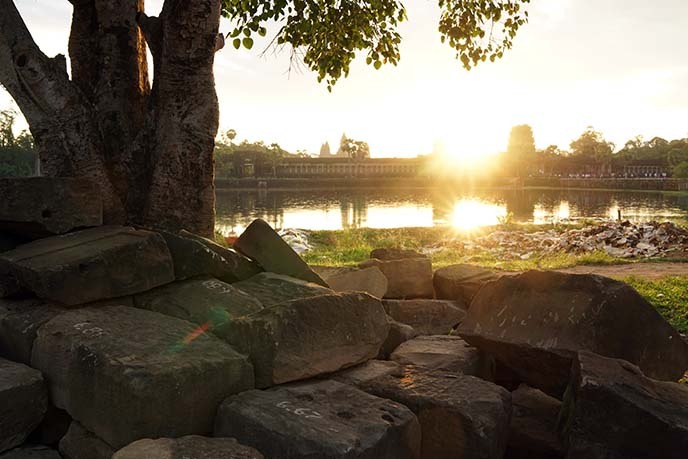 Angkor Wat, Cambodia sunrise & temple tour! 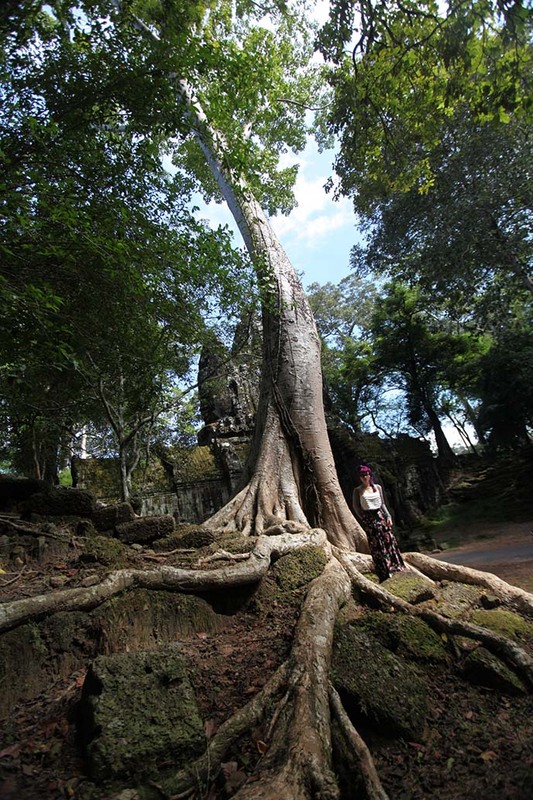 Ta Prohm, Tomb Raider tree roots temple. Call me Lara Croft, braided hair and all. 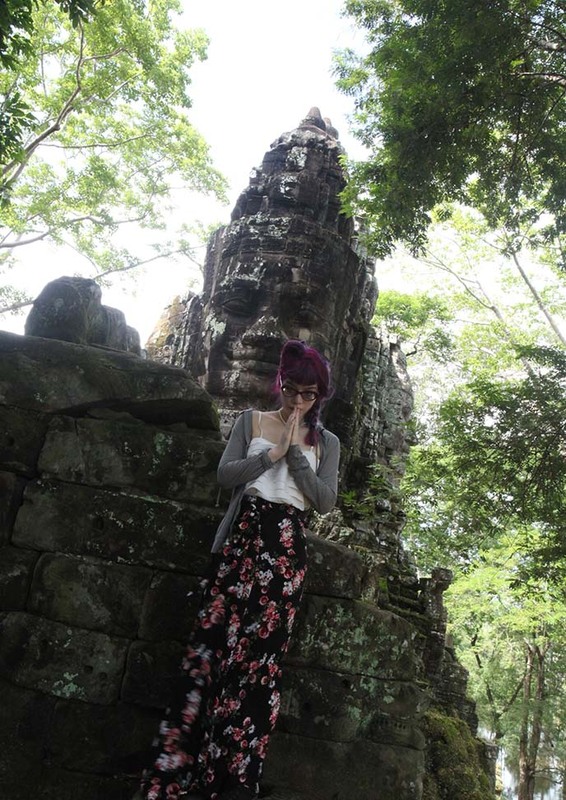 One of my favorite travel adventures was exploring the mysterious temples of Angkor Wat, Cambodia. If you watched the Tomb Raider movie, you’ll recognize this as the site of Angelina Jolie’s adventures. 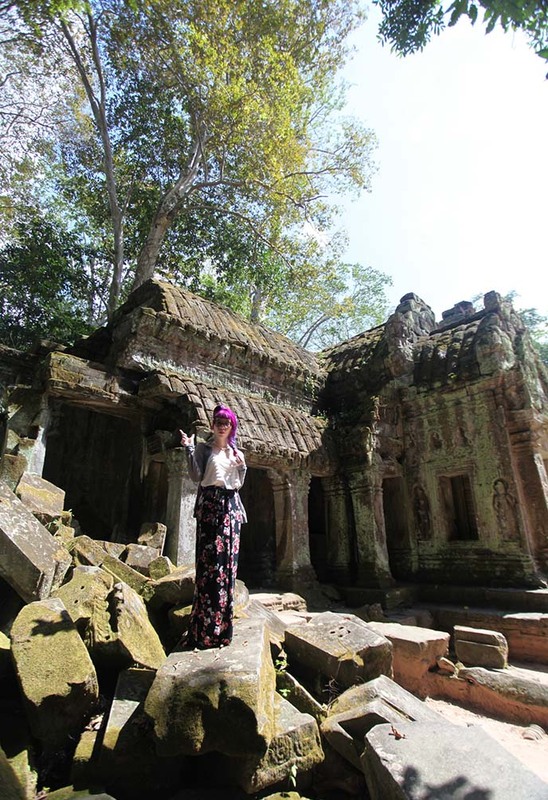 My team and I came here thanks to HK Express, which flies multiple times a week between Hong Kong and Siem Reap, Cambodia (where these ancient ruins are situated). The flight was less than three hours, on a low-cost but comfortable and modern carrier. For years, I’ve wanted to see this “lost world” for myself. Did it live up to my expectations? 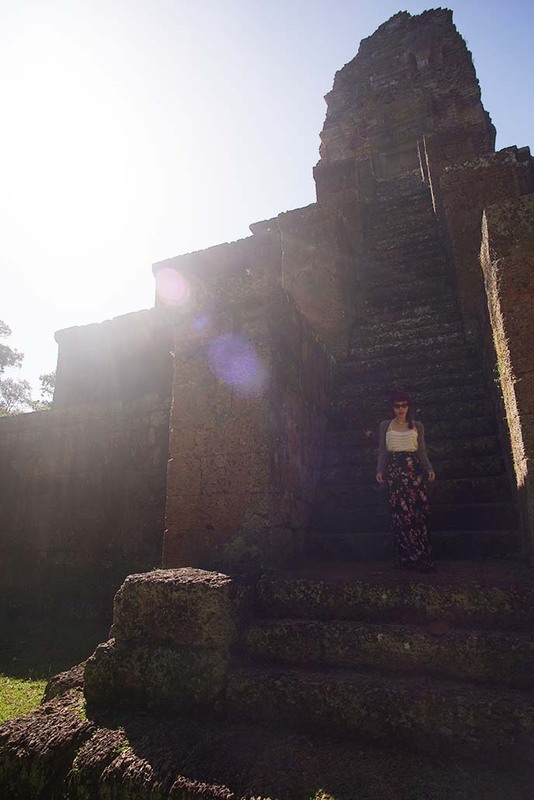 This photo diary says it all, from smiling Buddhas to Khmer pyramids. It was an early start: 5am wakeup call! 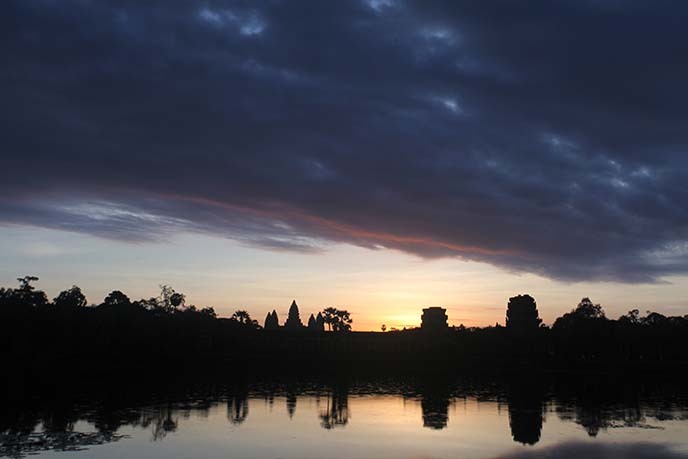 But it was worth it, to see the legendary sunrise over the towers of Angkor Wat. Our guide took us through the less-crowded east gate, and we walked to the best location for photos of the temple: the second (further out) reflective pool on the west side. While there will be a lot of tourists around, you can find and unblocked view and capture this iconic silhouette. 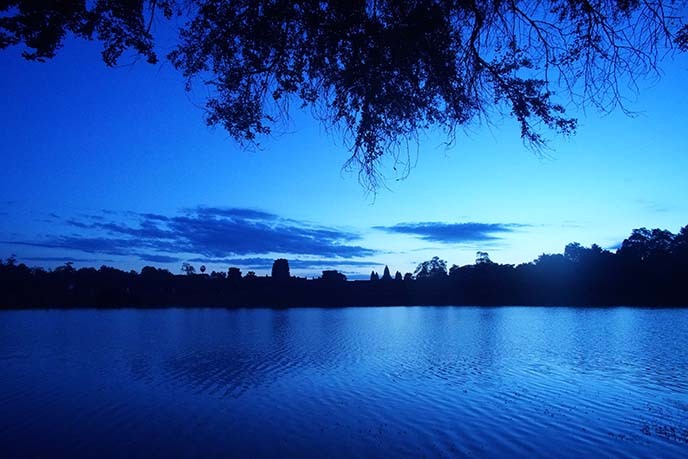 We sat in silence over this bank, observing the clouds and lotus flowers, and listening to the crickets. The sky gradually lightened and a burst of sun appeared over the rooftops. I felt at peace here, taking in the constantly changing view. 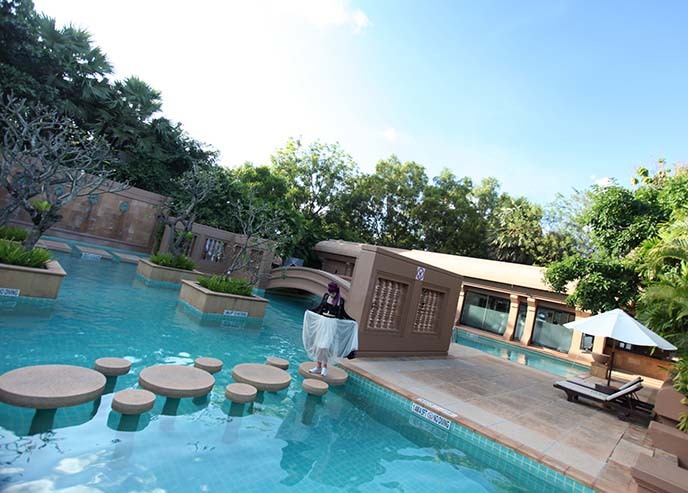 We were glad we were staying at Le Meridien Angkor, since it was less than a 10 minute drive from the main temple. It was easy to return to our hotel after the sunrise, to enjoy a big breakfast spread including Cambodian dishes and tropical fruits. Tickets and admission info: You’ll need to buy a ticket in order to enter Angkor Wat and see all the temples (as you can see above, they take your photo). There are various checkpoints at different sites, and the papers get crumbled easily, so I recommend keeping them in a plastic bag or ticket pouch. 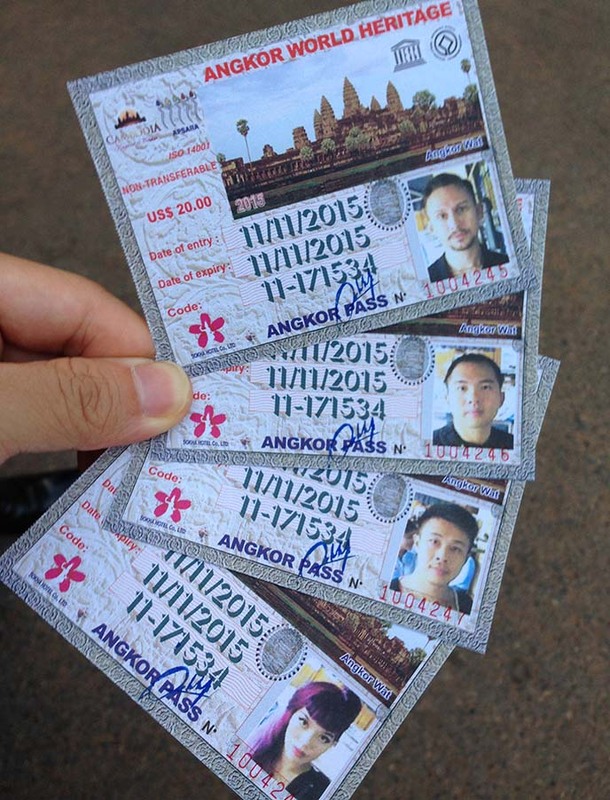 We got the 1-day pass for $20 US (bring American cash in Cambodia, instead of changing it to the local currency). However, you can also get 3-day or week long passes. If possible, go to the ticket booth at 5pm the day before you want to visit the temples. That way, there’s no lineup and you can go in to see the sunset for no extra charge. 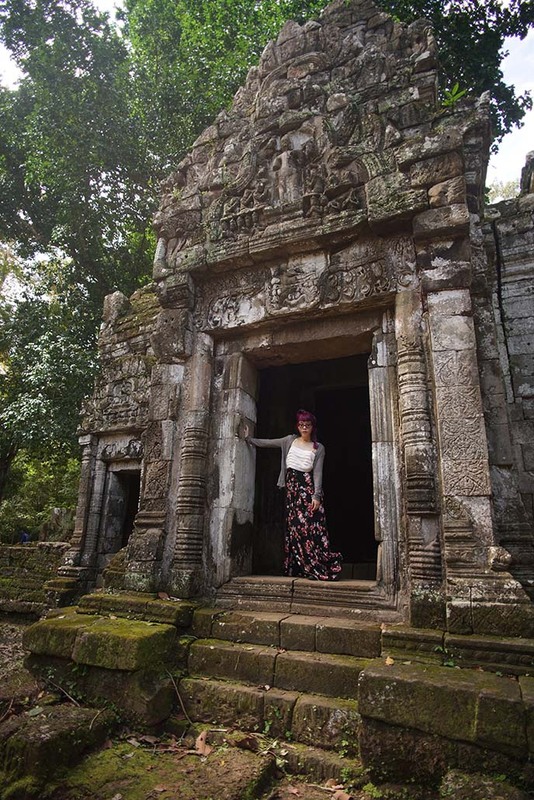 We quickly realized how important it was to have an Angkor Wat guide: the archaeological park has over a thousand temples, within 1.5 million square meters! Some people rent bicycles or hire a tuk tuk to go between locations. However, if you come all the way here and have limited time, it’s better to have someone to take care of these logistics. We were able to enjoy the sights and listen to the guide talk about Khmer history. And I admit l liked having an air conditioned car to go back to, between the sites. 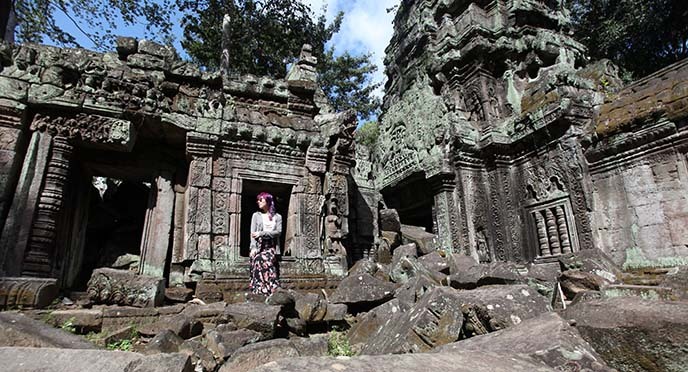 For the fashion-travelers out there, let me warn you… it’s not easy being Lara Croft. 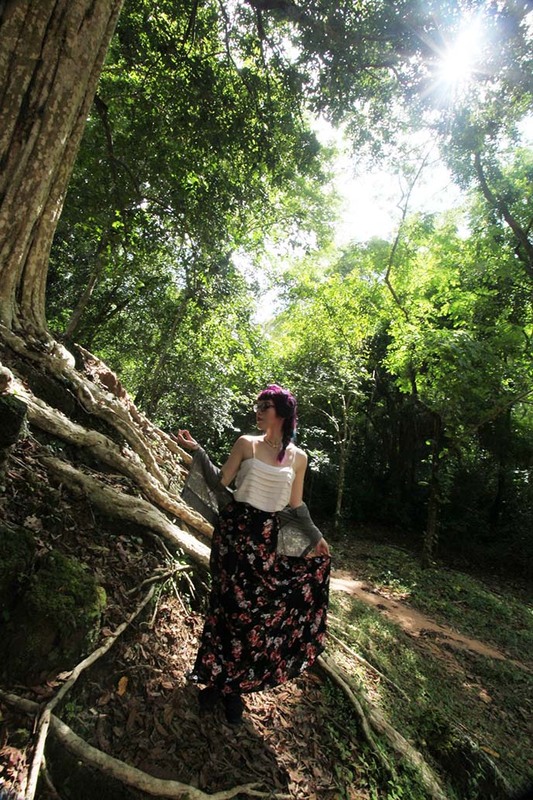 Be prepared to trek for hours, over uneven jungle terrain in high humidity. Wearing good shoes, sunglasses and sunscreen are a must. Outfit Details: I’m wearing new Oliver Goldsmith sunglasses, which are actually prescription glasses that I outfitted with Transition lenses (so they turn dark under sunlight). 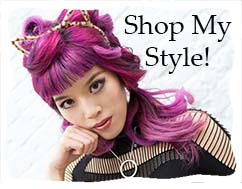 My long, floral skirt is by Pylo; I love the 1990s Goth-bohemian feel of this design. Here is a shorter version of this 90s-style skirt. 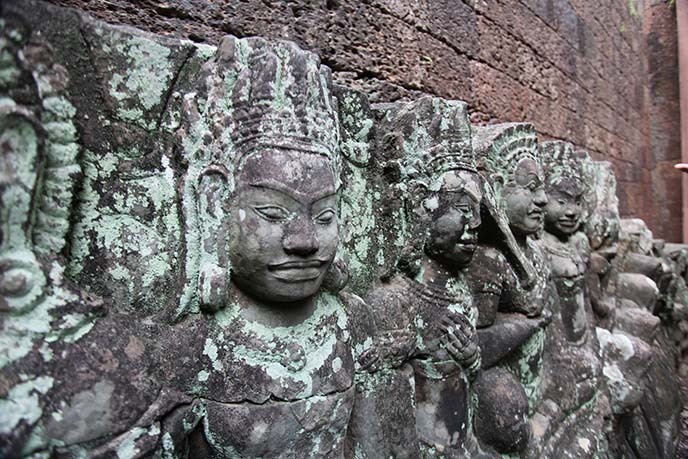 Angkor Wat was the passion project of Khmer king, Suryavarman II. It originally was built to be his mausoleum and religious complex for the Hindu god Vishnu. However, by the 12th century, it had become a Buddhist temple. We walked through these “elephant gates,” which are large enough to let these gentle pachyderms pass through. The gates are topped with smiling Buddha heads. You can’t help but smile back when you see this gentle face, merging into the moss and stones. A closer look at my red Oliver Goldsmith cat-eye glasses. I have a hard time finding glasses I like, and tried on quite a few before finding this London designer. He makes luxury eyewear based on vintage icons: these ones are the Grace Kelly frames. 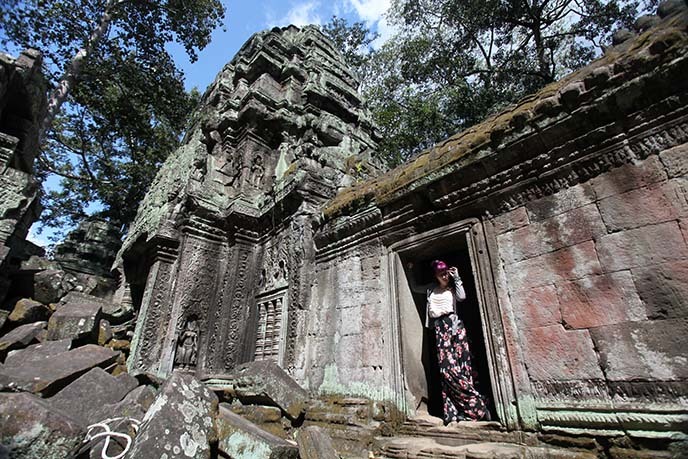 We wanted to see the most famous temples in Angkor Wat, but also avoid the crowds whenever possible. Our guide delivered. 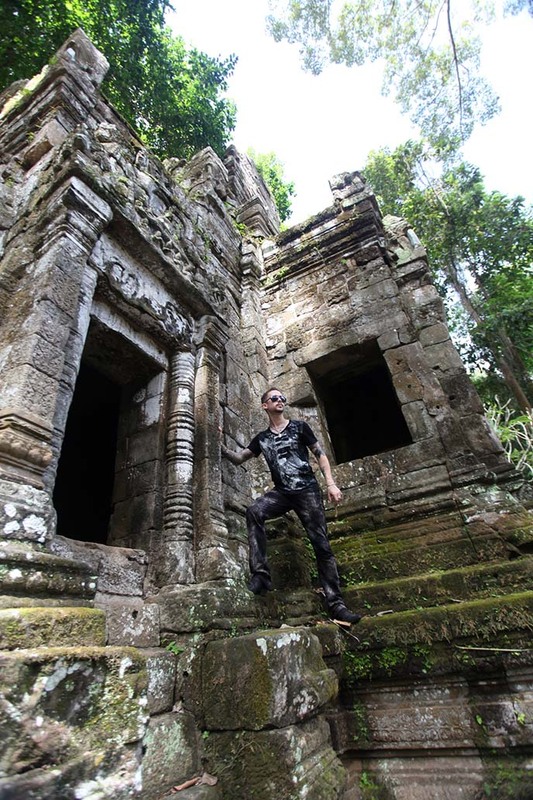 He took us to hidden jungle pathways and lesser-known structures. This pyramid-like temple was a perfect example. It’s as impressive as anything else in this UNESCO heritage site — and yet, there was nobody around. 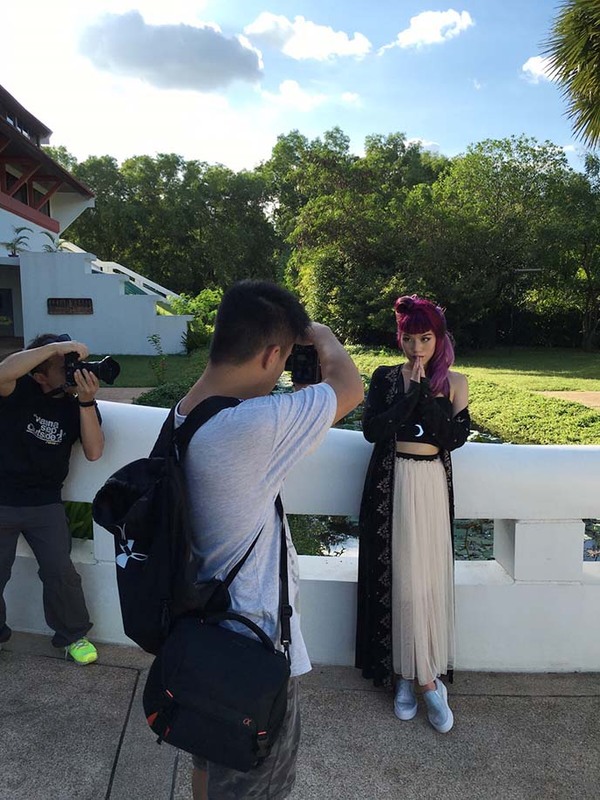 We got to climb the steep stairs and shoot images without anyone photo-bombing us. There’s a feeling of energy, in the towering trees and snaking roots found all over the park. 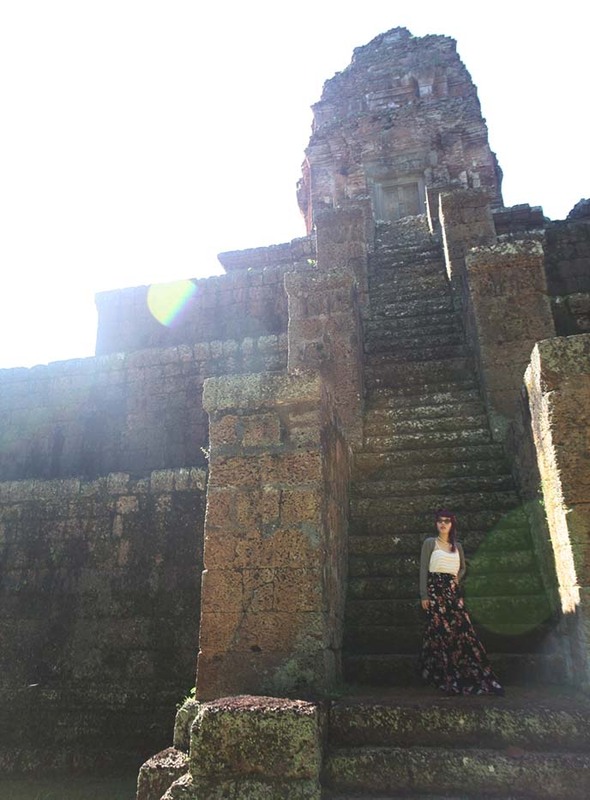 I was fascinated by the ancient Khmer spiritual architecture. These temples are made primarily from sandstone bricks, and harmonize beautifully with the surrounding nature. Although some parts had crumbled, the structures still stood. 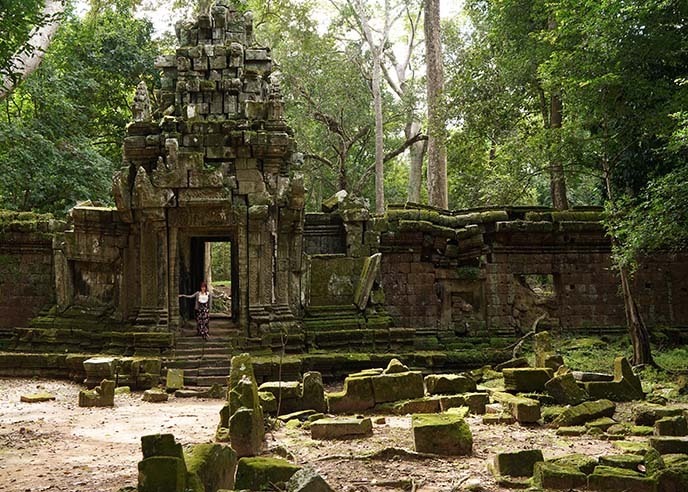 The intricate carvings looked even more mysterious in the moss and ruins. 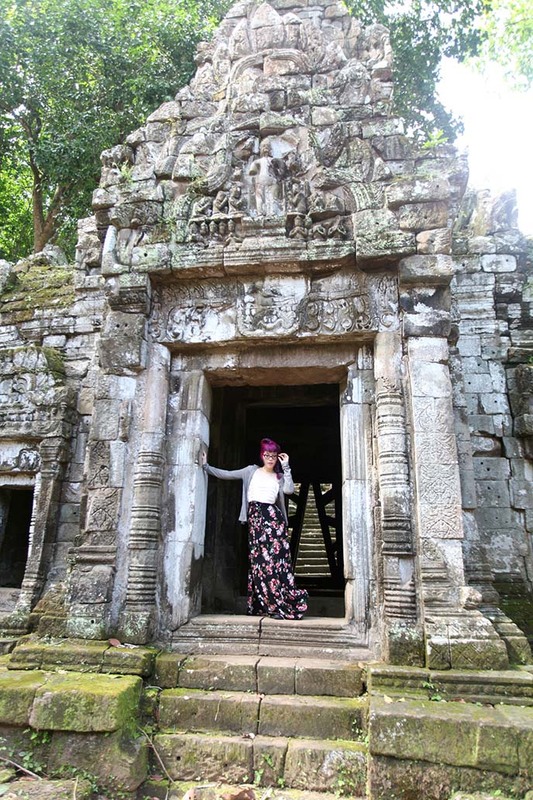 Most of Angkor Wat’s temples give you full access, meaning you can explore to your heart’s content without running into a “do not cross this rope” sign. We ducked into tunnels and climbed through the windows. Just look out for the tall, steep stairs! I couldn’t believe how well the bas relief carvings stood the test of time. Our guide took us to a wall of meditating figures with beatific expressions. 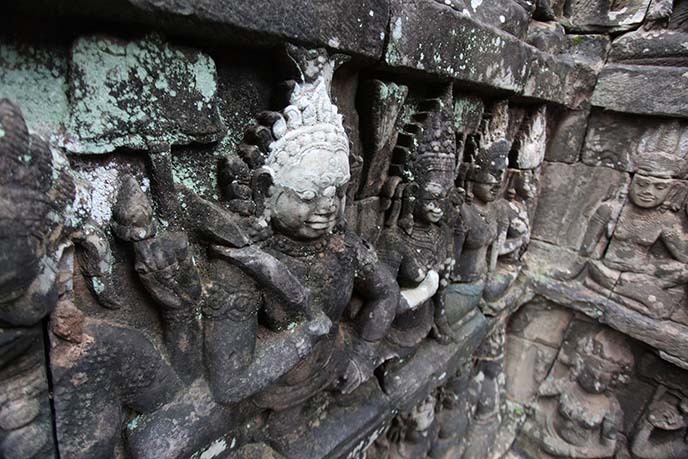 Other carvings showed Buddhas and demons, and apsaras and devatas (Khmer nymphs, celestial dancing girls). 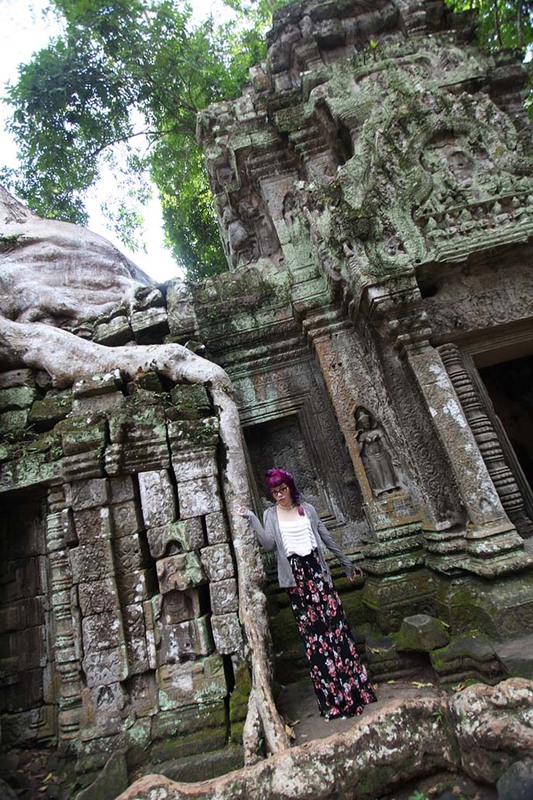 Our guide took us to Ta Prohm, where Tomb Raider was filmed. 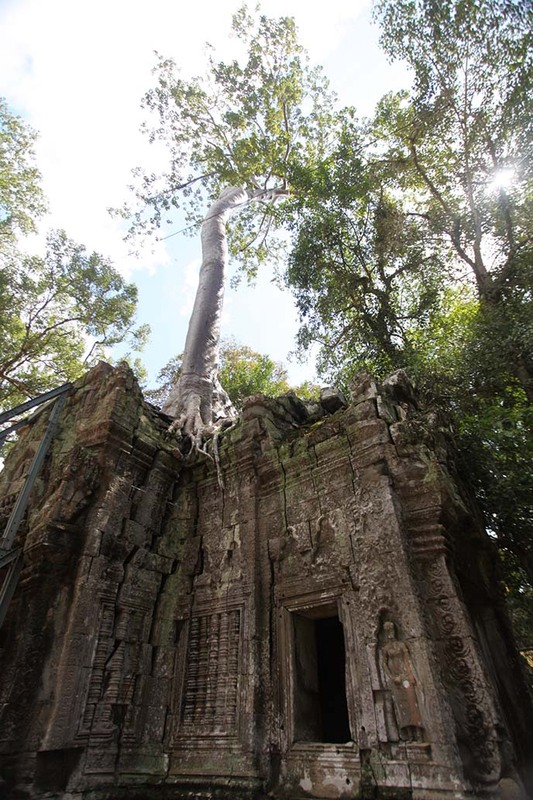 This mesmerizing temple has trees growing right out of the ruins. The thick roots have wrapped themselves around the doorways and sculptures. Nature has become part of the architecture, and in this case, rendered it even more mystifying. 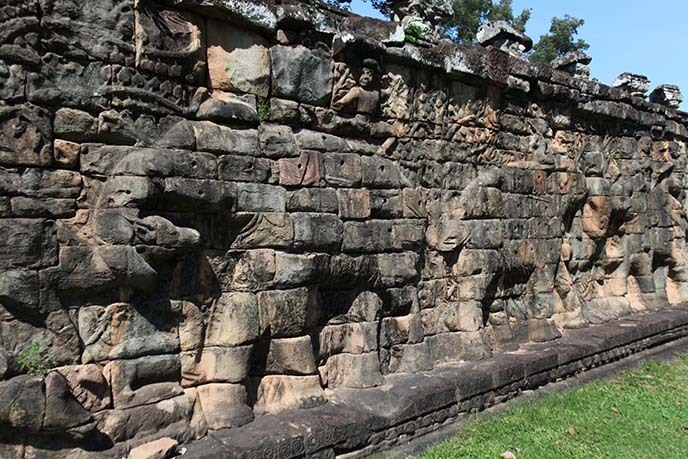 One trail of root covers an entire wall, except it parts around a carved deity’s face. 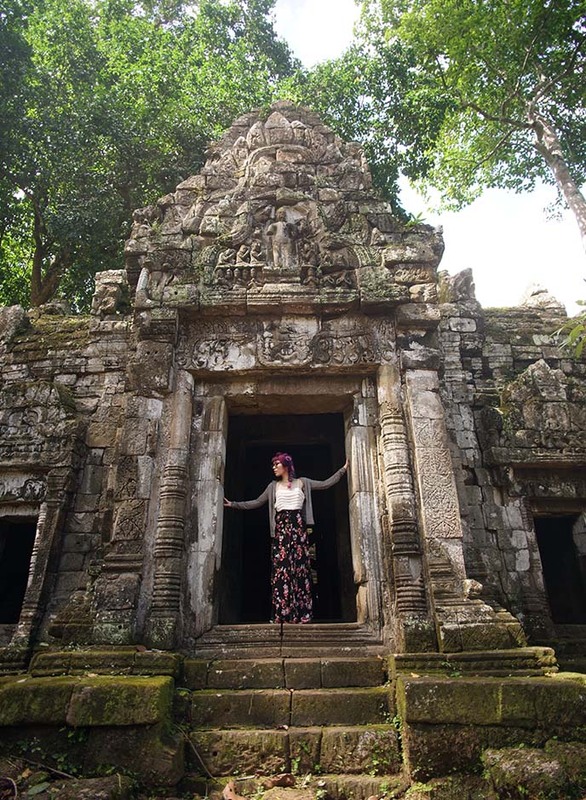 Our guide took us to a small space in Ta Prohm where if you stood in the right place and thumped your heart, you could hear it resonate throughout the room. 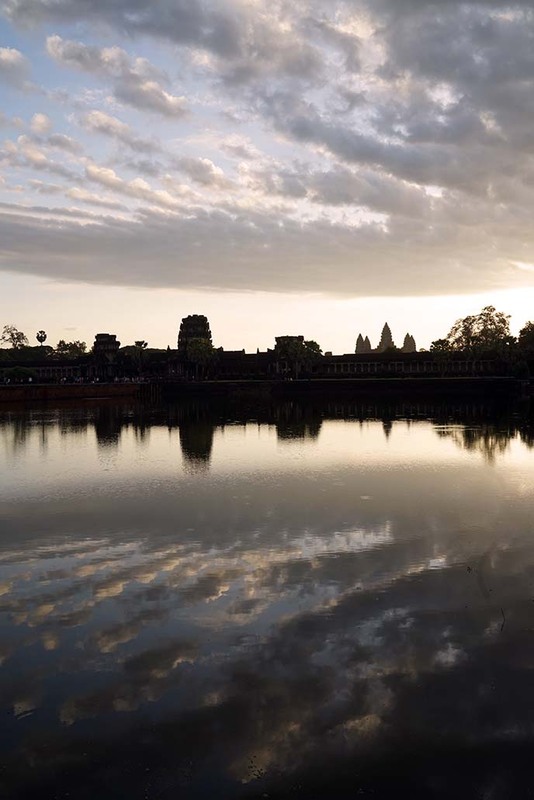 For anyone fascinated with ancient civilizations, Angkor Wat will not disappoint. To get the most out of this adventure, I encourage you to hire a guide and driver, get the 5pm ticket, and prepare for the humidity and hiking. This is not your last glimpse of Angkor Wat: I still have a travel video for you, and a tour of the main temple. 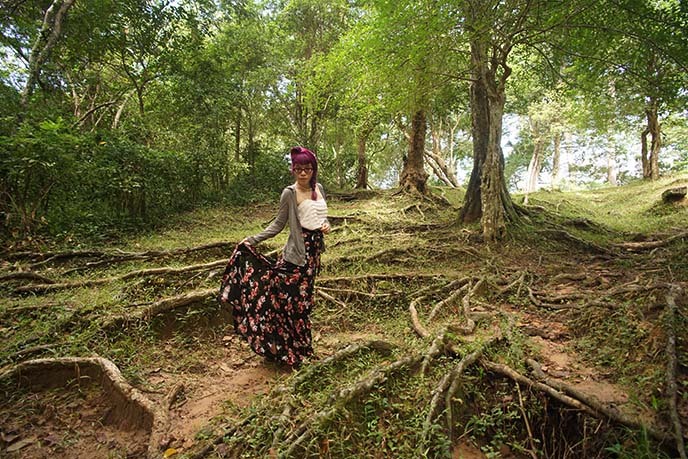 Also check out my guide to Pub Street in Siem Reap, and fashion shoot at Le Meridien Angkor. 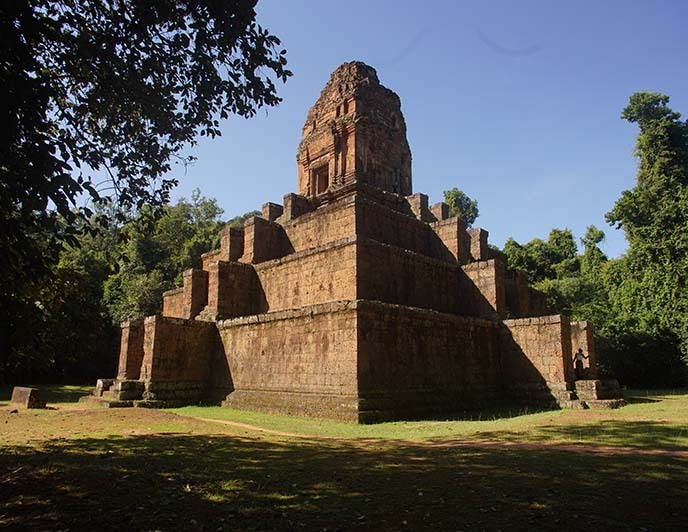 Are you familiar with this temple, maybe from seeing it in Tomb Raider? Is it on your list of destinations to see?